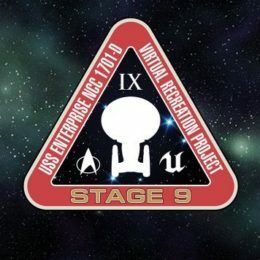 For those unfamiliar with the project, Stage 9 is a beautiful virtual recreation of the Enterprise ship from Star Trek: The Next Generation for Windows, Mac and Linux. More experience than game, Stage 9 was built by fans over two years in the Unreal Engine. “There were two things that we were always pretty careful with,” says project leader ‘Scragnog’. In an announcement this week, Scragnog reminded fans that no one involved in the project was in it for any financial reason and everyone was well aware that throwing money into the mix could be a problem. However, the team says it has always known that they could be shut down at any time on the whim of a license holder because in this world, that’s what can happen. Unfortunately, that day has come all too soon for the impressive project. Stage 9 was hit with an intellectual property complaint from CBS just over two weeks ago and has now been shut down. During this interim period, the team began to consider statements made by CBS Vice President for Product Development John Van Citters, who in 2016 indicated that Star Trek owes so much to fans and that fan creations are of value to the brand. However, thirteen days after receiving the cease-and-desist, Stage 9 was able to speak with their original contact in the CBS legal department. It proved a complete waste of time. “We were hoping, perhaps naively, that the elements of Stage 9 that CBS did not approve of would be highlighted to us, so we could be sure to remove these elements from the project and create something that met with, if not their approval, then at least their acceptance,” Scragnog explains. 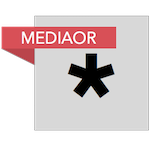 To keep the project alive, the team were prepared to make any changes ordered by CBS. Sadly, CBS said that the project could not continue in any form, no matter what changes were made. They provided no further details and, as noted by Eurogamer, did not indicate how Stage 9 had violated the fan art guidelines previously published by CBS and Paramount. “It’s a truly horrible situation to be in when something that tries to respect Star Trek can be eliminated without any opportunity for open dialog,” Scragnog concludes.